Over the summer the New York Times published a survey looking at nutritionists’ vs. public perceptions of healthy foods. They found that granola was one of the foods that generally have a public perception of being healthy but that nutritionists ranked as unhealthy. I think the main reason for this view of granola as unhealthy is that most commercial versions are packed with sugar. That’s one reason I make my own granola and don’t buy commercial varieties (it’s also really expensive to buy versus making it yourself). 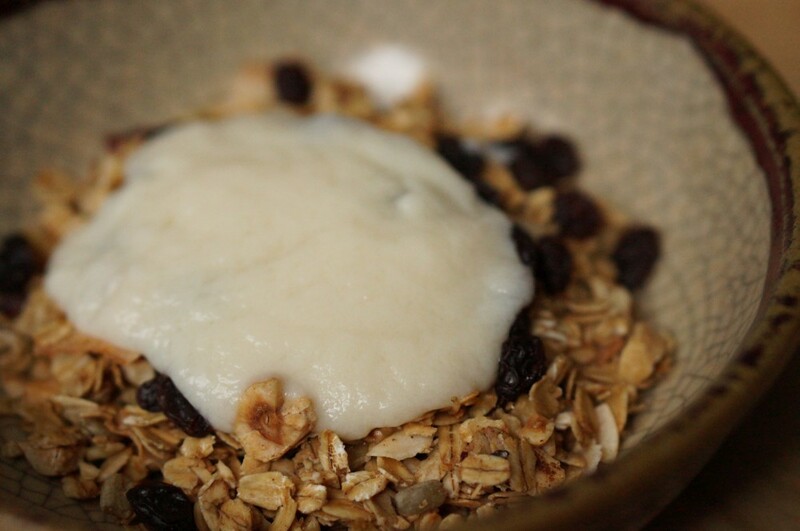 I first started making my own granola many years ago after seeing Alton Brown make this recipe on Good Eats. I came to realize though that this recipe has a ton of sugar just like most commercial granola and gradually started cutting back on the sugar. My current recipe has six times less sugar than the original one and I honestly like it better. Here’s a simple recipe if you want to give it a try yourself. Just mix all these ingredients together well in a large bowl then spread on a baking sheet. Bake in a 300 degree oven for 30 minutes then turn the oven off and leave the granola in for another 15 minutes. That’s it! Super easy and healthy too! We’ve tried our hand at making flour tortillas on occasion but only very recently did we get a tortilla press and try making corn tortillas from scratch. We decided to take the plunge because the corn tortillas we were buying in the store were dry and crumbly. Then some friends put us on to some packaged, uncooked corn tortillas that you cook yourself at home (just a minute or so on either side in a hot pan). They were so much better than the dry crumbly ones! And the next logical step was to buy some masa and a tortilla press and make them totally from scratch. Which is very easy to do, and just a little time consuming but not too bad. We’ve been experimenting with making our own yogurt for quite a while now and are making it more often now that we have our Instant Pot, which has a yogurt making setting. If you don’t have a yogurt maker though, no worries. When we started we were just wrapping our yogurt in a big insulating blanket and that worked alright. It’s been easy enough to make yogurt that tastes good; the challenge is getting the consistency right. We still have our ups and downs in the consistency department but this recipe comes out fairly thick and creamy. Note also that you’ll need a long stem instant read kitchen thermometer because temperature is key here. Congratulations. You’ve just made almond milk. Now put the almond milk in a saucepan and whisk in the cornstarch and sugar. Heat on medium-high, whisking frequently, until thick and creamy then remove from heat. Now add the cashews to your blender with one cup of water. Blend at high speed until creamy and well blended. You don’t need to strain this mixture; just pour it into the almond mixture. Here’s where you’ll need the thermometer. You’ll need to wait to add the yogurt or starter until the mixture is between 108 and 112 degrees Fahrenheit. Check the temperature frequently (stir it first) and when it gets below 112 you can mix in the yogurt or starter. If you’re using a yogurt maker you can get away with the temperature getting a little low because the yogurt maker will bring it to the right temperature and hold it there. If you don’t have a yogurt maker you definitely need to be vigilant about checking the temperature and adding the yogurt or starter when it’s on the high side of the range above. You can culture your yogurt in whatever vessel works for you. We go through a lot of applesauce in our house and save the glass jars. They hold 24 oz. and two of them are just right for this amount of yogurt and also fit well into our Instant Pot. Whatever container you’re using, just put them in your yogurt maker or wrap them in a big blanket or winter coat in the warmest part of your house. Don’t touch them for 8-10 hours then put them in the fridge without disturbing the yogurt. We’ve found that the yogurt will thicken a bit more if refrigerated for a while. 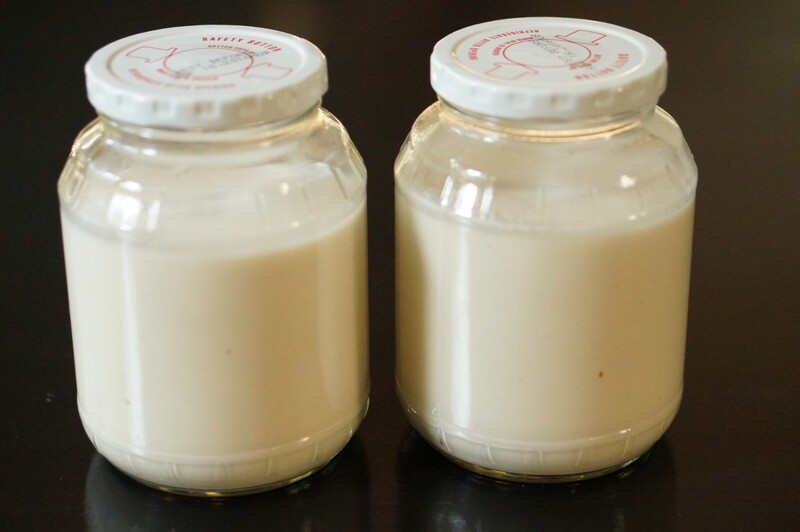 Our quart jar of vanilla extract is getting low so I ordered some more vanilla beans so we can start another one. Wait… vanilla extract by the quart? Isn’t that stuff super expensive? Not if you make it yourself. We posted about this on our previous blog but that was long ago so I thought it would be useful to go through it again. The short story is this: we get vanilla beans for a good price on ebay and soak them in inexpensive vodka. Let that sit for a while (at least a few weeks), shake the jar occasionally and voila, vanilla extract. And for a fraction of what it costs to buy it two ounces at a time at the store. 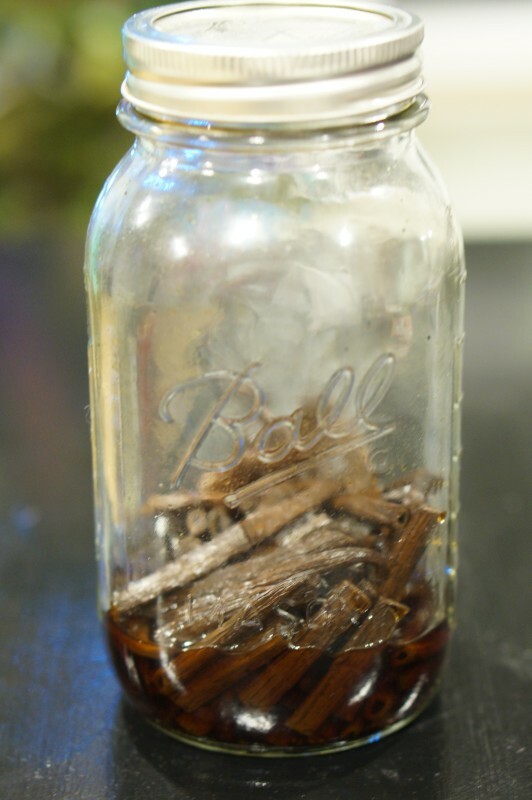 There are many online sources for vanilla beans but we got ours from the Vanilla Products USA store on ebay and they even have some instructions for making extract – just chop about 30 vanilla beans, put them in a quart jar and fill with vodka. I also add a couple teaspoons sugar to cut the alcohol a bit. Then I put the jar in a cabinet and shake it every so often. We pour it off a little at a time into a smaller bottle and use it for all our baking needs!